Mentorship is perhaps one of the words with the most varied interpretations in the scientific community in India. One widely held notion seems to be that mentoring someone essentially means telling them what to do. This can work, but it is essentially “me” based mentorship: the senior person is saying “here’s what *I* think you should do.” In contrast, my own interpretation of mentoring is that one enables someone to figure out what’s good for them, and builds a relationship and environment that enables them to best achieve it. 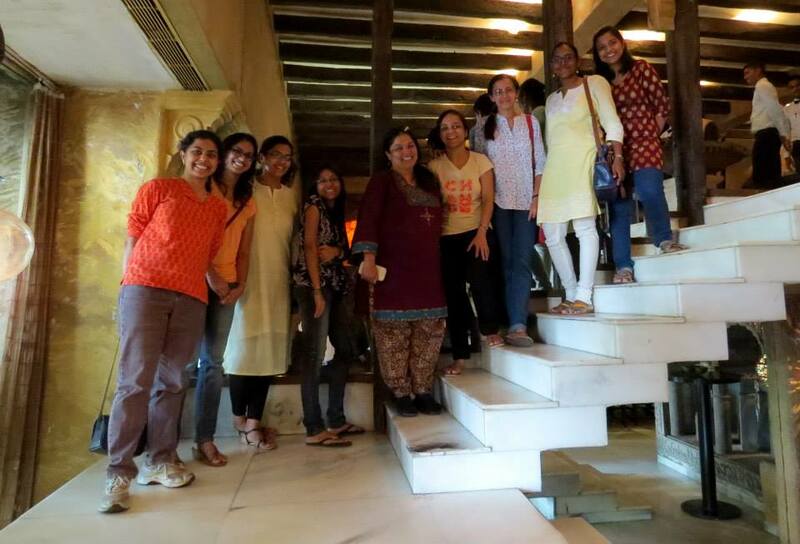 I was asked by the Wellcome Trust-DBT India Alliance to write about how I mentored three Early Career Fellows (ECFs) who joined my lab in successive years. The ECF is an opportunity for promising postodoctoral researchers to carry out research in India, and these candidates were talented researchers who would, by the end of their fellowship, enter the job market in the Indian bioscience sector. Reflecting on the process that began when they joined my lab and applied for the ECF, I realized that my biggest contribution was basically to allow them to work towards realizing their own potential. To me, mentorship means spurring, encouraging, and supporting people to introspect; to understand their own interests, strengths, and areas for growth; to provide a sounding board for ideas they generate. In a broad sense, mentorship to me is helping people one comes in contact with to get to wherever *they* want to go. Every interaction one has could take on a mentorship angle: I have mentored students who write to me asking for JRF positions; postdocs who apply for a position and may not end up getting selected; MSc and PhD students at TIFR who may or may not be in my own lab; MSc and PhD students who are offered admission and talk with me over the phone before deciding to join TIFR or go elsewhere; faculty colleagues in and outside of TIFR, and indeed, as has been my privilege, the three Wellcome-DBT India Alliance ECFs. I suppose this comes from my genuine interest in getting to know the individual traits of people I interact with, in particular young researchers and students about to embark on a research career. Why are they buzzed about this new term, translational research? By mechanistic approaches? By fundamental science? What is their own interpretation of these things? What do they see themselves as years down the road? This last question is one that students from our country don’t usually ask themselves—it seems as though it is enough to plan the next few years. I agree that it is impossible to really “plan” the future, but if one asks them to look within themselves, then no matter how nebulous their thoughts, they do have an unstated sense of what they want to do, or at least, what they don’t want to do. That’s a starting point for a mentorship conversation. For Wellcome-DBT fellows, or for anyone doing a research project for that matter, if the questions they are working on don’t buzz them enough to wake up in the morning with an eagerness to find out what the day’s experiments will bring, well, that’s a waste of a bright mind being asked to think about something that doesn’t capitalize on its unique abilities. So this then is another thing worth putting time and thought into—to develop a project in which the questions and approaches are well suited to getting the most out of the mental makeup of the individual doing the project. Two of the three ECFs in my lab had no previous background in neuroscience, but they had joined my lab because they were attracted to *something* we were doing. We spent some time fleshing out what it was they were most stimulated by, and articulated specific aims together that closely matched each of their interests. This approach necessarily means the PI has to hold back and let the candidate gather the courage to put down their ideas on paper…then work with them, but always in a manner consistent with the individuality of the person whose project it is. That way a PI is most likely to get an idea she may not think of herself… good science comes from many different minds interacting on a project, each with its own strengths and abilities. This approach then lays out the road map to writing the proposal and preparing for the interview. If the project “belongs” to the postdoc intellectually, they can then be legitimately expected to defend it. Not all PhD training programs give this experience, so even the best of candidates are unsettled by being placed in the “hot seat” of an interview situation for the first time. Each of the ECFs in my lab volunteered themselves to go through a mock-interview in a lab meeting setting. Lab members would sit around the “interviewee” and ask all manner of questions pertaining to the grant proposal. We would pile up questions one after the other, making the candidate jump topics, from basics to speculations. Each response the candidate made was analyzed, critiqued….thrown to other lab members to see how they might phrase it better? Each candidate said later how they had never before been pushed so far outside their comfort zone, and that they had never before felt more on top of their project at the end of it. Why did this work in terms of being a useful learning experience? Because the candidate *wanted* to experience this, *wanted* to be taken outside their comfort zone. The desire to grow came from within; all we did was to make it possible for them to feel comfortable enough to go through a pretty uncomfortable experience. Why did this eventually work in the real interview? Because the project and its defense were “owned” by the candidate, who had by then done lots of extra reading out of a genuine desire to better understand questions they felt themselves shaky on. The end result was a successful Early Career Fellow who emerged more independent after having successfully faced the interview, standing on her own two feet. One might say these candidates have been “mentored,” but essentially, all we did was enable their best to emerge. The process doesn’t end with the award of the fellowship. The ECFs were instituted to seed the Indian scientific community with talented and qualified researchers. This vision needs to be matched with the individual hopes, plans, and aspirations of the ECFs themselves. In some cases, timely assistance, such as providing a JRF assistant to an ECF who is on maternity leave, can make all the difference to the smooth progress of the project. The JRF can begin a prep for the day or finish something up if the ECF needs to come in late or leave early. The JRF is basically an extension of the hands of the ECF, and also provides the ECF the experience of being a supervisor, of training someone, keeping them engaged enough in their project and encouraging them to own the bits they are doing. But more broadly the ECF is encouraged to live their life as they wish it, personal and professional needs balanced, and is treated as an equal professional colleague who doesn’t “report to” their mentor as much as “shares their plans and their progress” with them. This too is a part of mentorship, and extends the theme of encouraging people to be themselves, by providing the support so that they can work out their own individual solution to a work-life balance. I once asked a postdoc in my lab “lets discuss what you want to do in the next 5 years and 10 years, then we can figure out what we can do to facilitate your achieving that.” What I meant was, that if she was aiming for a position in industry, or academia, or teaching etc., we could shape her project so that her CV could be best suited to getting the job she wanted. For example, long-haul projects that open a rich vein of exploration might be suited to someone who aims to set up her own lab. Developing experience in certain high-end techniques may suit specific industry type jobs. The stage one enters into an industry job is also critical—one should enter at the highest possible level because that’s usually the biggest career jump one can make, one that internal promotions may not be able to match if one has entered industry at a lower level due to lack of adequate experience. The same postdoc later told me that she had never imagined such a conversation could be had with one’s boss, least of all when it was so early in the postdoc. *A version of this piece has been submitted to the Wellcome-Trust DBT India Alliance. It appears here with their permission.